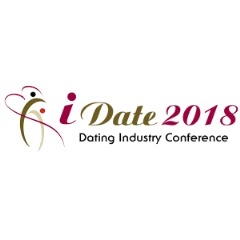 iDate Online Dating and Dating Industry Conference is the industry's largest trade show that investigates the Online Dating and Social Networking business. The event takes place in Hyatt Place Delray Beach in Florida, USA and is scheduled for January 25-26, 2018. The conference is attended by in the online dating market. Subjects at the expo include: mobile technology, background checks, marketing methods, partnerships, venture capital, legal issues, payments, business planning, wireless/mobile technology, and new developments. Research assistant Christopher Dietzel will be presenting his PhD research at the conference. The presentation is titled "Safer Social Connections Among Dating App Users". More information about the iDate 2018 Conference can be accessed here.